No question, both Trump and the entrenched Deep State are at war with each other. There is no question that the Intelligence Community have been doing their best to throw up roadblocks at every turn. And its the very reason why he is paranoid about these people. Here's one former CIA who thinks perhaps everyone make a big mistake going after him. Of course, he's on the outside, looking in. It'd be nice to know how many CIA swamp critters have been removed up to now. I have literally been going nuts over what I have considered all the 'foot dragging' by the Trump administration and Sessions. I've been about to explode. But maybe there is more to this than I, or the rest of us, really know about what is coming down the track. Here's what I mean. I just found a link to this article from the Conservative Treehouse. This explanation makes perfectly good sense as to what is working its way toward the target area. It appears that the Inspector General is playing an important role in slowly releasing incriminating evidence, so as to keep everyone's attention focused. Most of us have been paying close attention to the DOJ, while the IG has been quietly rooting and scraping out the needed information, and building a solid case for cleaning out the swamp, so to speak. This could be Huge. And note that Trump has been quiet about all this, so as not to draw attention to himself. Someone stated that this is his MO, to remain silent, and when the hammer comes down, it will be totally unexpected. Quote: I have literally been going nuts over what I have considered all the 'foot dragging' by the Trump administration and Sessions. I've been about to explode. You would not be the only one, I'd guess there are millions of people feeling the same now. I'd not be too optimistic about this, or the possibility of cleansing FBI or any institution. Trump is pretty much alone. while the dumping of Flynn and Manafort was forced on Trump (Swamp's strategy of isolating Trump), dumping of Bannon was not at all... simply Bannon is unsuitable as an administrator but quite good as an attack dog. Bannon succeeded in removing two GOPe senators and clearly would try to do more in 2018, this may create some support for Trump in Senate -- right now he has none. And Bannon's failure with Moore is therefore a huge setback, making the situation now nearly hopeless. Perhaps this is why Trump is allowing the IG to do its job, and do it quietly. The IG has a reputation of being apolitical in everything, and having been in the Army for five years, I can well remember the annual IG inspection for my units. Everyone was scared shitless over it, because they looked into everything that pertained to readiness. Lots of commanders lost their jobs over bad reports from the IG. Did you read the article completely, because the IG is in this investigation completely? And true to form, they are doing it quietly while everyone else is going off in other directions. Nobody seems to be talking about it, anywhere, except at this site. I'm going to keep my eye on this place, and have it saved for regular visitation. Even assuming the story is accurate I do not see how this matters. Best case scenario for Trump is that a few people in midrange positions are fired (or transferred), this would not change the organization much. Nobody in the high level will be affected. (12-13-2017, 11:24 PM)mv Wrote: ...Best case scenario for Trump is that a few people in midrange positions are fired (or transferred), this would not change the organization much. Nobody in the high level will be affected. On the contrary. At the same time Trump is replacing the Obama deep state judiciary, he is also replacing the swamp monters. Quote: he is also replacing the swamp monters. You got a clue of how many of them are there? PS. To understand the situation better one should understand the terms being used. That Swamp one is supposed to drain ... catchy name ... but just what does it mean? Option 1: it is a conspiracy within some institutions (FBI in particular). Option 2: it is the institutions themselves that evolved to protect their way of life. If the answer were 1., punitive measures could have succeeded in unrooting the conspiracies. But the answer is 2., and limited actions against selected individuals cannot possibly succeed. Solutions are basically two : Option A: mass terror and Option B: change of the system. The situation is not unique to the current Sodomia, it has happened before and there is an amazing historical parallel here too. Uncle Joe about 80 years ago had to deal with a similar problem, largely trotskyite in nature.... and his solution was exactly the mass terror. I do not think Option A is open to Trump right now. (12-14-2017, 12:49 PM)mv Wrote: I do not think Option A is open to Trump right now. Option A may well become available early in 2018. Once the IG has completed its investigation, the Attorney General can sweep in and let the arrests begin. Trump is keeping quiet, and he should let his loyal minions take the lead. The less he crows and postures, all the better. It keeps him out of the spotlight. Let the trials begin and keep showing them being humiliated 24/7. Even the Whores will have to report on what is happening. Option B really has only one guaranteed way of draining the swamp. A Balanced Budget Amendment, coupled with the requirement of paying off our debt, is the only long term way. By that, the government will be caught between a rock and a hard place. If they remain huge like now, they will have to pay for it by taxing the hell out of the citizenry. But the citizenry will not tolerate this, and the feds will have to live within their means. This means cutting back on the swamp(establishment). Remember, every swamp has a continuous supply of fresh water feeding into it. That will not stop, but draining the swamp will remove the waste water hanging around and stagnating. Just allow for the stream coming in, but don't allow it to hang around. The only solution is a Balanced Budget Amendment, where it is constitutionally required that the feds pay their way with what they have. Option A has at least two serious problems. 1. The purge needs to be really large, we are talking about millions. (the Swamp is not evil individuals but the new class of government functionals that continuously grew over decades. About half of the US population is government-dependent now. The ones that simply depend on the government giveaways are less dangerous, but the entrenched bureaucracy is already massive enough. As of 2014, the Federal Government *alone* employed 2.7 million people, we can guess 2.5 millions of them being the "Swamp". But the Feds are not the only pool...). 2. To carry out a large scale purge one needs to have a branch of the government that is loyal. Concur on "guaranteed", and BBA is a possible mechanism for doing it indeed -- if there is a bloodless way to do Option B at all. Option B is forced by the global picture -- US economic situation is unsustainable. You cannot have half of the population being effectively parasites, unless they parasite not just on the US but on the entire world --- the essence of the neo-liberal economic model, now failed. Furthermore, Option B automatically would lead to implementation of Option A as well -- excess parasites are just fired, no need for mass arrests. But the exact scenario of Option B implementation is uncertain. Given that both wings of the Uniparty currently represent the interests of the Swamp, passing of anything like BBA is not possible. There is no time for "real second party" (and yet again, the Uniparty will not let this happen). What is however possible and increasingly likely is simply economic meltdown, followed by the credit loss..... Argentina does not need any BBA, nobody would lend them money now anyway. This is the direction we are going now, and this is one of the three possible scenarios I see. Scenario II: Insanity of the current leadership would lead to new World War, Trump is dancing on the red line now. Scenario III: Advances in robotics would lead to most of the essentials being manufactured without need for people...something like this is promised for 2030... in this scenario perhaps robots can re industrialize the US and everyone can become a proud parasite. I'm skeptical but cannot dismiss this -fully, this is not impossible and sub-scenarios are many. We do not have to worry too much about this scenario, however, since either I or II would happen first, and I (economic meltdown) is more likely. Oh, this fellow "Sundance" really has his act together. Remember I stated that nobody was talking about the IG's importance in this. Well, Fox has suddenly begun talking about it all this morning, and naturally the Whores are keeping silent. But it isn't going to go away, and will only continue to grow. Quote: During a recent rally in Pensacola President Trump remarked off-the-cuff: “we have a rigged system, we really do, we have a rigged system and we’re working hard to change it“. Against the backdrop of recent revelations with the stunning politicization of the FBI and DOJ, those words ring notes of truth, and also caution. * - Ahead of FBI Director Christopher Wray appearing before congress the IG released the information about FBI Agent Strzok and his mistress FBI/DOJ Attorney Lisa Page. * - Just before Asst. FBI Director Andrew McCabe was going to appear before congress the IG released information about DOJ Deputy Bruce Ohr and his wife Nellie Ohr. * - Just before DOJ Asst. AG Rod Rosenstein appeared before congress the IG released the actual text messaging information from Agent Strzok and Lisa Page. Release #1 was the Agent Strzok and Attorney Lisa Page story; and the repercussions from discovering their politically motivated bias in the 2015/2016 Clinton email investigation and 2016/2017 Russian Election investigation. 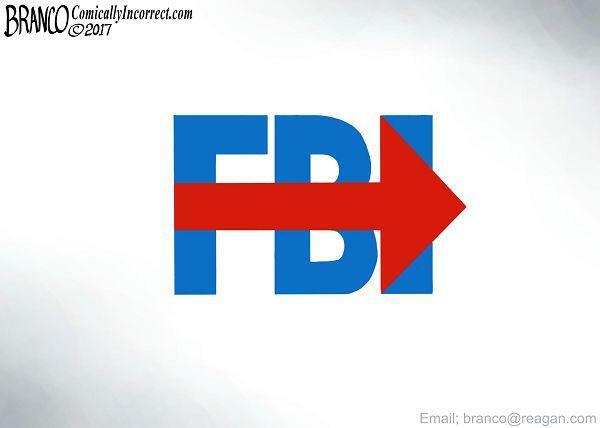 Release #2 outlined the depth of FBI Agent Strzok and FBI Attorney Page’s specific history in the 2016 investigation into Hillary Clinton to include the changing of the wording [“grossly negligent” to “extremely careless”] of the probe outcome delivered by FBI Director James Comey. Release #3 was the information about DOJ Deputy Bruce Ohr being in contact with Fusion GPS at the same time as the FISA application was submitted and granted by the FISA court; which authorized surveillance and wiretapping of candidate Donald Trump; that release also attached Bruce Ohr and Agent Strzok directly to the Steele Dossier. Release #4 was information that Deputy Bruce Ohr’s wife, Nellie Ohr, was an actual contract employee of Fusion GPS, and was hired by F-GPS specifically to work on opposition research against candidate Donald Trump. Both Bruce Ohr and Nellie Ohr are attached to the origin of the Christopher Steele Russian Dossier. Release #5 was the specific communication between FBI Agent Strzok and FBI Attorney Page. The 10,000 text messages that included evidence of them both meeting with Asst. FBI Director Andrew McCabe to discuss the “insurance policy” against candidate Donald Trump in August of 2016. Rep. Jim Jordan is leading the charge. Ahh, Haa! You know things are beginning to worry the Swamp Creatures, when they start verbally attacking the investigator. ’s presidential campaign, says there are “serious questions” about the integrity of the State Department Office of Inspector General (OIG). The OIG is locked in an increasingly contentious fight with Clinton’s campaign on a host of issues, including her use of a private email account during her time as secretary of State. It has also reportedly subpoenaed the Clinton Foundation for documents related to charity projects and is investigating close Clinton aide Huma Abedin’s work as a “special government consultant” while she worked at State. A source within the OIG contacted The Hill claiming that the office has grown increasingly partisan, accusing it of having an “anti-Clinton” bias. Told by The Hill about the remarks, Podesta described the source as a “whistleblower” whose comments called into question the integrity of the OIG investigations. “This person’s account is highly troubling, and is cause to ask serious questions about the independence of this office,” Podesta said of the source. The Clinton campaign says it does not know the identity of the source. An OIG official strongly disputed the source’s account. “Partisan politics play no role in OIG’s work,” the spokesman said Monday. Kinda makes one wonder just where that 'source' actually originated. Trump is officially reopening the Uranium One Hillary scandal. I suspect that they have been investigating it, but waited until they were able to connect the dots. I wonder if The Beast is getting any sleep lately? There is a sinkhole appearing in the White House lawn. The White House has tunnels and subterranean construction that is quite extensive. This sinkhole makes one wonder. Is draining the swamp changing the water level? (05-22-2018, 01:59 PM)WmLambert Wrote: There is a sinkhole appearing in the White House lawn. The White House has tunnels and subterranean construction that is quite extensive. This sinkhole makes one wonder. As long as it doesn't start spewing smoke. Then we will have to call it a "Fissure". Hey Bill, did you see where the comic genius, Jimmy Kimmel, took advantage of the sinkhole to make another 'below the belt' dig at the Trump family? Jackasses are just plain crazy, and the old saying that "common sense is not so common" around them. They are destroying themselves. We now have a new name for this entire sorry affair: SPYGATE! Quote: President Trump blasted the "Criminal Deep State" early Wednesday, suggesting things have “turned around” in “SPYGATE,” following revelations of a reported FBI informant snooping on the Trump campaign. This is a good move too, because it will cause adults to immediately turn their thoughts to criminal behavior. Until it is proven beyond a doubt, it will point everyone in the right direction: Even Progressibe Jackasses.